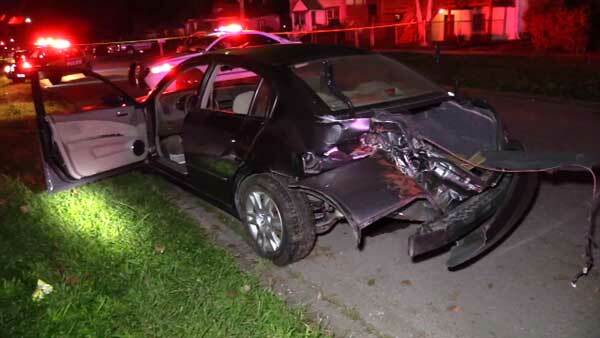 Two people were killed in a three-vehicle crash involving children in south suburban Robbins. Seven other people were injured. ROBBINS, Ill. (WLS) -- Two men have been charged in connection with a crash that killed two people and injured their three children in suburban Robbins, Cook County Sheriff's officials said. Douglas McGrew, 25, and Craig Stevenson, 41, face reckless homicide charges. Cook County Sheriff's investigators say McGrew and Stevenson were racing their vehicles on Central Park Avenue around 7:45 p.m. last Thursday when their vehicles allegedly struck a minivan near 137th Street, officials said. Minivan driver Chires Davis, 43, and front passenger Less Jones, 59, died as a result of the crash. Their three children, who were in the back of the van, survived and are in stable condition at a local hospital. McGrew and his passenger as well as Stevenson and his passenger were all hospitalized for treatment. A judge set Stevenson's bail at $1 million. Bond for McGrew was also set at $1 million after he appeared in bond court Wednesday; he also faces two charges of aggravated DUI.